Antifa likes to argue that they are somehow good because they’re “fighting fascists.” This is, of course, pretty much just an excuse to legitimize themselves and not focus on the anarcho-Communist nature of most of their members. But it fools media like CNN who calls them an “anti-hate” group and one of their hosts, Chris Cuomo who has said that Antifa is “on the side of right.” But Antifa proved once again that’s not true when they came out against a Blue Lives Matter rally and chanted to kill cops. 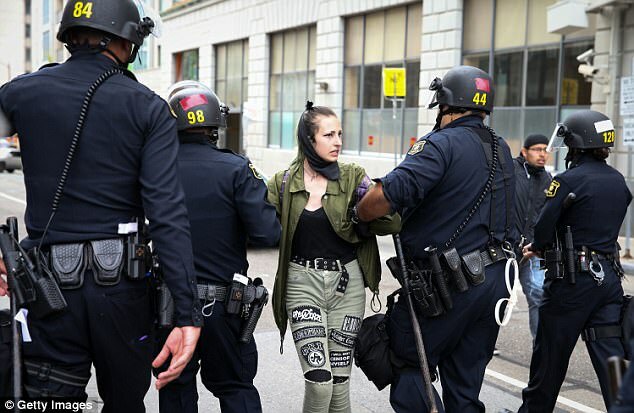 Sixteen Antifa members were arrested after clashes with police during a counter-protest on Saturday morning in Philadelphia. They were protesting a Blue Lives Matter rally, organized by the son of a police officer, who was trying to show support for the police. “In spite of all the negative press towards police, we want to show our support of our men and women in blue,” said Zachary Rehl. The current mayor who would like to abolish ICE and danced when the court allowed them to be a sanctuary city was not in attendance. But despite that, Antifa claimed the march was ‘fascist’ and had about 75 counter-protesters including people from the Philly Socialists, Liberation Project, Workers World Party Philadelphia and OccupyICEPHL. And during their counter-protest, they chanted against the police calling them “racists” and bastards.” They also chanted about killing the police. Fortunately, the police Antifa sought to attack was very professional, and kept them from attacking people.